Choosing the right house for you and your family can be a very daunting process. One thing to note, however, is that the type, style and square footage of your abode are all secondary to location. Location is the one property feature that homeowners can never alter. You can redecorate, upgrade, and add on to homes, but their locations will always remain fixed. 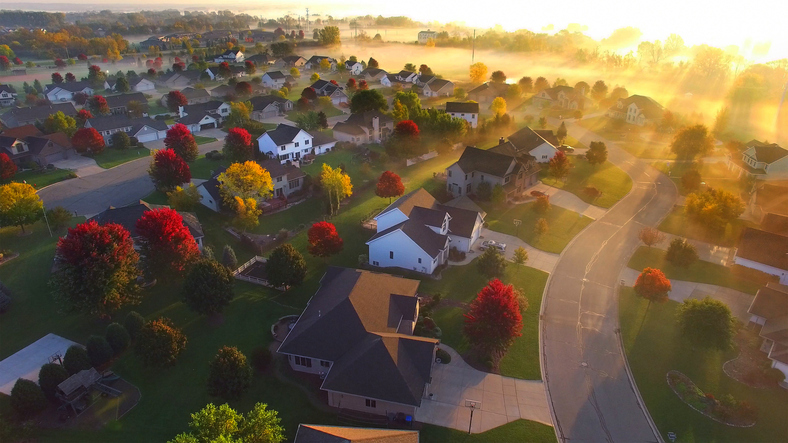 As you decide whether or not you and your loved ones want to be city dwellers or suburbanites, you should consider these five benefits that can be gained from a commitment to suburban living. When compared to the average inner city home, a house in the suburbs will usually provide far more square footage for the money. People living in rural areas enjoy large tracts of land that are sufficient in size for accommodating back, front, and even side yards. Moreover, many suburbs have only recently evolved from areas that were once heavily wooded, which means that they're often still surrounded by active wildlife and plenty of trees. For some people, there's nothing like falling asleep to the sound of trains, freeway traffic, and outside conversations. For these individuals, a short jaunt to visit family in the country can be downright maddening. They find it harder to drift off to the sounds of chirping crickets, or even deep and heavy silence. The suburbs are ideal for couples and families who enjoy quiet nights, fresher, cleaner air, and far less nighttime foot traffic near their abodes. Whether or not you have or intend to have kids, it's important to look for property in neighborhoods with top-rated schools. Not only will this provide better educational opportunities for minor residents living in your household, but it will also increase the marketability of your property and its resale value. For instance, some of the very best places to live in Minnesota are suburban areas with nationally ranked schools. Comparatively, schools in the suburbs are far higher in quality than inner city schools. They also tend to have better standardized test scores and a lesser likelihood of overcrowding. Cities often provide a much broader range of housing options than most suburbs. City residents can live in apartments, condos, family homes, townhouses, and more. There's also a much higher number of renters in cities than there are in suburban areas. This means that both units and neighborhoods tend to have higher turnover rates, and that residents have much less opportunity to forge long-lasting bonds and establish a strong sense of community. This is hardly the case in the suburbs. Historically, suburban children have the chance grow up together given that many suburban homeowners retain their properties throughout most or all of their lifetimes. If you love democracy and want to start taking a more active role in the development and maintenance of your community, the suburbs are probably perfect for you. With fewer people living in the region, it's much easier for residents to assume roles within local government, and to voice their opinions and be heard. This benefit additionally gives property owners a greater ability to take part in decision-making processes for issues that could positively or negatively impact their property values.